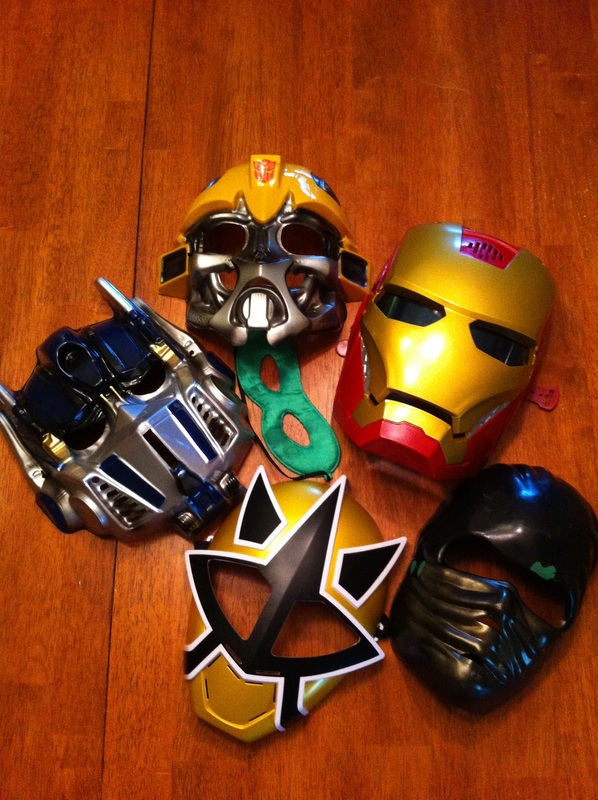 My children have plenty of masks they like to wear around the house. Their imaginations soar as they defeat the bad guys, sneak around like ninjas, or hide out like burglars. Their masks bring a little more tangibility to their ideas, and for brief moments, they get to be someone different. Christians (well, not only Christians) often wear “masks” too. Some may be wearing the mask of wealth when, if truth were told, they are actually deep in debt. Others may wear the mask of happiness although they are suffering through great sadness. There’s the mask of strength that is worn by those trembling from weakness. And, there’s the mask of contentment; although, one’s desires tend to chase him or her around. The mask of popularity is one that is worn frequently; although, the person may actually be crumbling from poor self-esteem, low self-worth, and loneliness. The “everything is fine” mask is one I wore often growing up. I even topped it off with a great big smile. The fact is that not everything was fine during my adolescents and young adulthood. I struggled with thoughts and feelings of inadequacy, but no one knew it. I was semi-popular, active, and out-going. Even now, I pull out this mask to help get me through rough times. For moms, we often wear the mask of “Super Mom” even though we barely have strength left in the day to kiss the little ones goodnight. Our images on blogs, Facebook, Pinterest and any other social networking sites may really just cover up the day-to-day struggles we have as parents. It is hard raising children in this fast paced world where reality show stars earn more of an income for getting drunk and acting foolish than those who storm through the trenches to save others, those who teach children, rebuild families, or compassionately love on people every day. It is a struggle to raise children to be selfless and compassionate when the world expects them to be driven, number one, and egocentric. I would much rather see an unveiled, unmasked version of someone’s strife than to walk by and not even notice because of the amazing job he or she is doing at covering up the pain. Deep longing, jilted despair, and confusion are hidden from the rest of the world when those mighty masks are put on. As a Christian, I too struggle at times making sense of the world around me, and the reason why things happen the way they do. I even admit that I wear a mask that covers this doubt up a lot of the times. I was reading in Luke Chapter 5 today and verses 29-32 jumped out at me. This blog topic has been on my mind for the past few days, so it did not surprise me that the Lord led me to these verses. It makes more sense to me for non-believers to see Christians for what we are; broken and imperfect sinners who know we are our strongest when we declare our weakness. Instead, I fear what they see is what our masks represent; wealth, power, judgment, popularity, political motivation, and self-righteousness. Imagine if we gathered the various masks we wear, threw them to the side, and showed ourselves as we really are. Imagine the difference our actions, not our agendas, would make in the lives of others if we let love lead the way. Imagine the reaction of others when our masks come off and we show Him to the world. He is the healer. He is the lifter of our heads. His love and His sacrifice is the only “mask” we should be wearing. I love this post. It’s made me think a lot. I wear a mask of contentedness, although inside I’m burning for new challenges and a more interesting job. I often try to appear calm and relaxed in situations and everyday life, when in actual fact I have a lot of prejudice, hatred and anger stored inside of me. I try to hide my greed, my jealousy, my fears and my resentments behind a mask, in an attempt to fit in and be liked by others (or at least not to be hated by others). Yet when I share the inner me – the man behind the mask – (and I do share the inner me at certain meetings I go to), I realize I am so not alone. I’m not a Christian, but I believe if we all removed our masks we’d all be so much happier, and, we’d find we all have so much more in common with one another. Thank you for reading. I think you just took off your mask when writing your comment! Don’t you?!?! Also, I initially thought about myself and other Christians when writing it, but then realized that we are all really good at covering ourselves up. Authenticity is a better way to influence those around us. I s’pose I did! I certainly believe that authenticity is a better way to live and better for those around us as long it doesn’t hurt others. I am loving your blog! It was great to meet you at the Hayride last weekend! I enjoyed the experience to meet friends who have had similar experiences in being blessed with our children! Oh yeah! I’m so glad you found it. I realized that I forgot to write down the address for my blog for you. It was great meeting you and “swapping” stories! I forwarded your blog to several friends who are now following you as well!